What are the symptoms of a mosquito bite in babies? What are the home remedies for mosquito bites? What are the complications of mosquito bites in babies? When to visit a doctor for a mosquito bite? Is there treatment for mosquito bite problems? 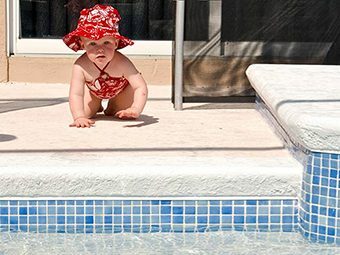 How to prevent mosquito bites in babies? Mosquito bites are itchy and painful. Babies bitten by mosquitoes may even be at the risk of contracting a mosquito-borne illness. 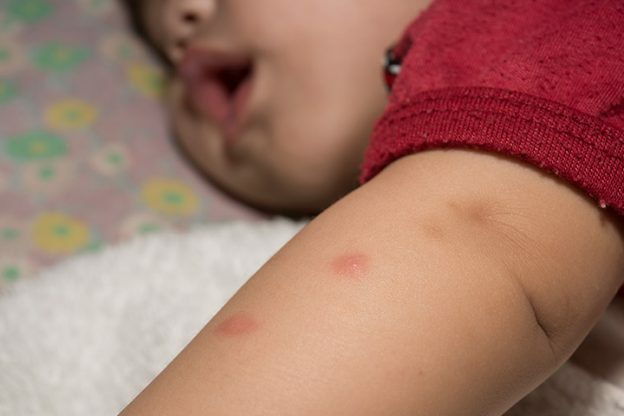 To prevent that, you should know how to identify the signs of a mosquito bite on a baby and ways to prevent the baby from being bitten. Here, MomJunction gives you all the necessary information about mosquito bites in babies, how to spot them, and the steps to shield a baby from mosquitoes. No. Only the female mosquito bites because it needs the nutrients from human or animal blood to form eggs within its body. Body odor and heat attract female mosquitoes. The female mosquito may bite about 20 times before finding a small blood vessel from which it feeds on the blood (1). That probably explains why even a single mosquito can cause multiple bite marks. Red, swollen bumps, often appearing in clusters. The baby scratches the bumps a lot. The infant may also appear to be in discomfort while itching. The baby cries while rubbing a swollen itchy bump. A large red patch with a raised bump at its center. A red bump on the skin, with its surrounding area swollen and reddened. Swelling on the face, with the skin reddened, when the mosquito bites on the face. A large lesion on the skin, which stays for several days. It mostly happens when the baby’s body displays an allergic reaction to the mosquito bite. Symptoms are also most likely to emerge in peak mosquito breeding seasons such as monsoons or immediately after it. If a mosquito bites your baby, the first thing to do is reduce the irritation. What Are The Home Remedies For Mosquito Bites In Babies? Apply an ice pack on the affected part. A mosquito bite makes the skin tender and can cause the area to feel warm. An ice pack can help provide relief. Use no more than one ice cube and give breaks while application to prevent the baby from getting chilly. Keep the affected area ventilated. Place the baby in a room with adequate air circulation. Heat and congestion can further irritate the mosquito bite and cause more itchiness. Use calamine lotion, which is safe for first-aid in case of mosquito bites (2). The cooling effect of the lotion soothes the irritated skin and makes the baby less prone to itching. Before applying calamine lotion, wash the skin with baby-safe antibacterial soap. Pat dry skin and then apply the lotion. Only use pure calamine lotion with no additives or get a calamine lotion especially made for babies. Baby lotion. Although they are not made to treat mosquito bites, the compounds in them help soothe skin irritation and minimize the itching. Baby lotions are a safe remedy when dealing with mosquito bites on the baby’s face, where the skin is the most delicate. Put on the mittens. Mittens are baby gloves that keep the hands warm. 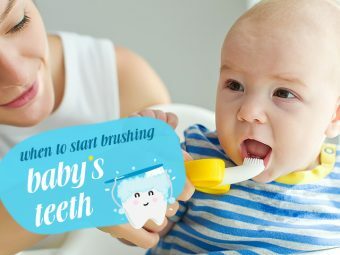 Putting them on will prevent the baby from scratching the bite area. Avoid using mittens when there are mosquito bites on the hands or palms. Application of honey, garlic paste, or vanilla essence on the mosquito bite may also soothe the bite area. However, there is no scientific evidence backing these remedies or how they affect the baby’s skin. Mosquito bites can also cause problems other than bumps or redness on the skin. Mosquito-borne illness from the pathogens spread by a mosquito. A mosquito can transmit several diseases such as malaria, dengue, and yellow fever among others. Most of these diseases are slow to treat and may have fatal consequences. Allergic reaction to the saliva of the mosquito, which transmits into the body during a bite. A bump due to a mosquito bite is a mild reaction. 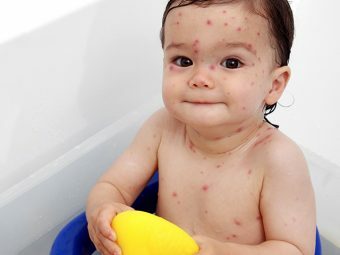 However, some babies may display a severe immunogenic response such as the Skeeter syndrome, a rare allergic reaction to a mosquito bite (3). In this case, the affected part becomes swollen and stays in such a state for several days. Opportunistic infections: Excessive scratching of the mosquito bite can rupture the bump, enabling bacteria or other pathogens to enter the wound. Although less common, opportunistic infections due to mosquito bites such as impetigo (local bacterial skin infection), cellulitis (bacterial infection of deeper layers of skin), and lymphangitis (bacteria enters the lymph node) can occur too (4). Parents must know how to spot complications of a mosquito bite so that the baby can get prompt medical attention. 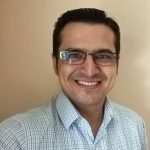 When To Visit A Doctor For Baby’s Mosquito Bite? Severe swelling for more than a day at the part of the body affected with a mosquito bite. Severe reddening of a large section of skin surrounding the mosquito bite. Blistering – formation of liquid-filled bumps. Bleeding and draining of liquid from the bump. Development of pus – yellowish liquid oozes from the mosquito bite bump. Swelling around the eye or eyelids in case the bite was skin around the eye. Baby displays swelling in neck muscles. Trouble feeding, lethargy, and fever. Is There Treatment For Mosquito Bite? Disease medication: Specific medicines are used to treat mosquito-borne illnesses such as malaria, dengue, etc. These are prescription medicines and only a doctor can tell you about the dosage, depending on the illness. Your baby’s doctor can suggest medication after diagnosing the disease. Antihistamine and allergy regulators: If your baby displays severe mosquito bite allergy, then the doctor may prescribe an oral antihistamine. Antihistamines help subdue the excessive reaction of the immune system. Other medicines to tackle allergy include topical hydrocortisone ointments to relieve itching. The type of anti-allergy medication will depend on the severity of the allergic reaction. Mosquito bites seldom require extensive medical attention unless they lead to severe problems. Preventing a mosquito bite can be a better way to keep your baby safe. Creating a physical barrier against mosquitoes is the safest way to prevent mosquito bites. Experts recommend sleeping under a mosquito net if you live in a mosquito-infested area (5). You can get a mosquito net for your baby crib and hang it from a hook on the ceiling or stretch it across the wall like a goal post net. Place the crib within the net and tuck the net under the crib mattress or attach it to the base of the crib to close the net. Use the net during the baby’s naps and nighttime sleep. Mosquito nets are effective and a safer option for delicate newborns. Install window screens with mosquito nets in the baby’s room. Window screens with mesh can be an excellent choice in warmer areas, where there is a need to keep the windows open. Prevent stagnation of water around the home, as mosquitoes breed in it. Prevent accumulation of water around your home especially during the rainy season. Drain away water accumulated in stored items. Keep water tanks tightly shut to prevent entry of mosquitoes. Use baby-safe mosquito repellent lotions for babies with active ingredient DEET, which is safe for babies over two months old (6). Use to a lotion with a maximum DEET concentration of 50%. Avoid using vaporizer-based mosquito repellents since it may affect the baby’s breathing. Never use mosquito coils and mosquito repellent aerosol sprays since they contain chemicals that are harmful to an infant’s lungs. Natural mosquito repellents, like eucalyptus oil, may not be safe for infants, and should not be used by children below three years of age (7). Dress your baby in protective clothing when visiting an area with mosquitoes. Some research suggests that most mosquitoes are attracted to dark colors such as black, red and blue (8). Light shades of green and yellow are less attractive with white being the least attractive. Dress them in full sleeves and trousers. Cover the baby’s hands with mittens or gloves to prevent mosquito bites on hands. But sometimes, even preventive clothing may not be able to prevent mosquito bites. Therefore, it is good to apply mosquito repellent on the exposed skin before stepping out of the house. Mosquito bites can irritate the skin and also cause complications. The best way to avoid these complications is to prevent mosquito bites. Staying alert to any mosquito bite bumps and timely treatment is essential to keep the baby safe. Take precautions and stay alert when at home or outdoors where the baby could get bitten by a mosquito. How do you protect your baby from mosquitoes? Do tell us in the comment section below. 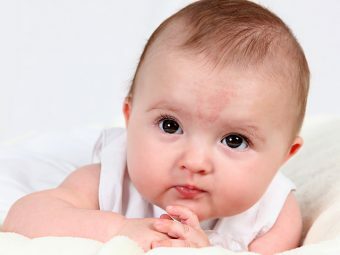 What Causes Birthmarks In Babies And How To Remove Them?